Acts as a natural antibiotic. It works by stimulating white blood cell production (our body's infection fighters). It works as an anti-bacterial, anti-fungal, and anti-viral. It helps to kill infection and to heal any infection in or on the body. Helps in cases of colds and flu, especially when used in the early stages of illness or infection, or when exposure to illness has occurred. Helps in cases of mastitis, especially when used in conjunction with Poke Root. 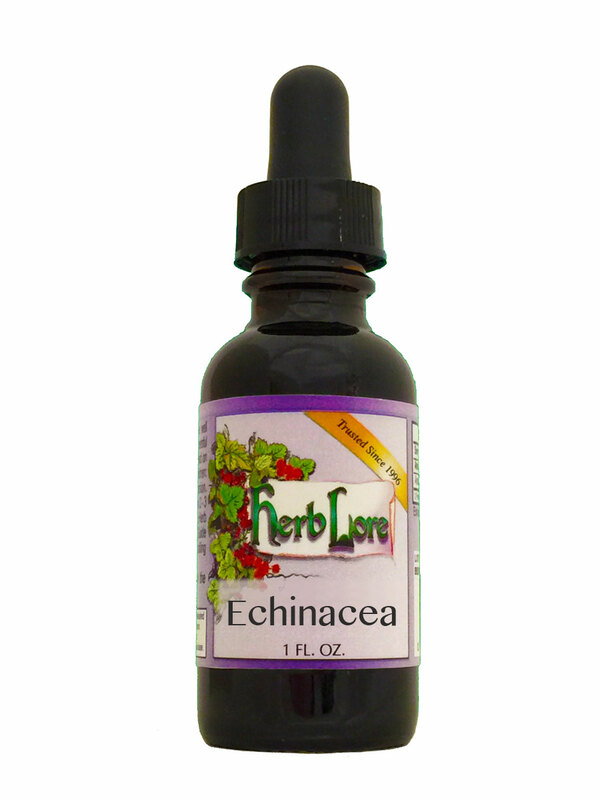 Note: A good quality Echinacea tincture should have a numbing and tingling effect in the mouth. This is normal and is a sign of a good, potent product. The non-alcohol version will not have as much of a numbing effect, simply due to the sweet and syrupy nature of the vegetable glycerine used as the extractant. Echinacea in either form is fine for use by pregnant and nursing mothers. We recommend the non-alcohol for children, however. This herb should not be taken on a long-term basis (longer than two weeks), as it can lose its effectiveness. It is safe for use by pregnant and nursing women.